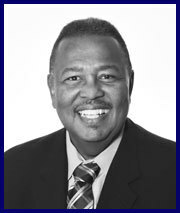 Ken Weathersby, a career missions and leadership specialist and the highest ranking African-American in the Southern Baptist Convention’s (SBC) administration, will be the featured speaker at the October 4th Annual Family Reunion of the Columbia Metro Baptist Association. Dinner, free to participants in the afternoon session, will be served at the church beginning at 5 p.m., followed by the Annual Family Reunion at 6 p.m.
At the leadership seminar, from 2-5 p.m., Weathersby will encourage leaders to rise to meet 21st century challenges. With churches losing members and closing doors in the face of both scandal and disinterest, and “nones” becoming the fastest growing religious identity in the nation, skilled leadership is essential for the health of current churches, and the planting of new churches. The population of the association’s context is growing rapidly, and Bullard said that by 2030, it will be majority African-American. “With Ken Weathersby’s breadth and depth of leadership experience throughout the southeast, and his experience in mentoring and coaching others in leadership, spending three hours with him could be a significant experience for our pastors,” said Bullard. Twenty of the 96 churches affiliated with the Columbia Metro Baptist Association have primarily African-American membership. Bullard, who has known Weathersby his entire career, says the SBC official has a unique and powerful ability to inform and inspire. Pastors of these churches are invited to remain after the evening session for a reception and dialogue with Ken Weathersby in the church fellowship hall. In his role with the SBC – the nation’s largest Protestant body – Weathersby develops strategies to involve non-majority groups within the SBC, such as churches led by bi-vocational pastors, younger generational churches, various ethnic groups and multi-ethnic churches. Weathersby founded the Douglas Avenue Baptist Church in Baton Rouge, LA, has led church planting efforts for Baptists in Tennessee and Ohio, and directed the Cecil P. Day Center of Church Planting at New Orleans Baptist Seminary. He was vice president for church planting for the Southern Baptist North American Mission Board before taking on his assignment in Nashville. He is a graduate of Mississippi College, Southern Baptist Theological Seminary and the Reformed Theological Seminary in Jackson, MS, from where he earned a doctor of ministry degree. The Columbia Metro Baptist Association was formed in 1856, just 11 years after the Southern Baptist Convention was formed. Bullard has led it since July 2017. CMBA Block Party Trailer is Available to Your Church!